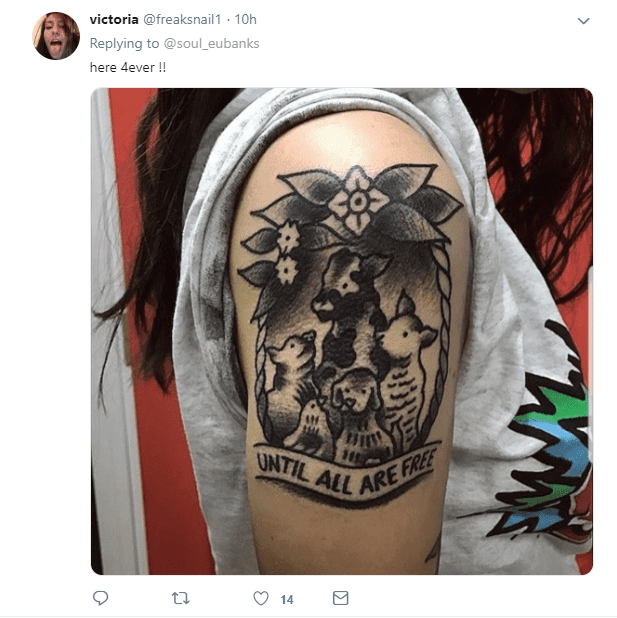 Dedicated vegans have shared inspiring tattoos which spread the message of compassion towards animals on social media. 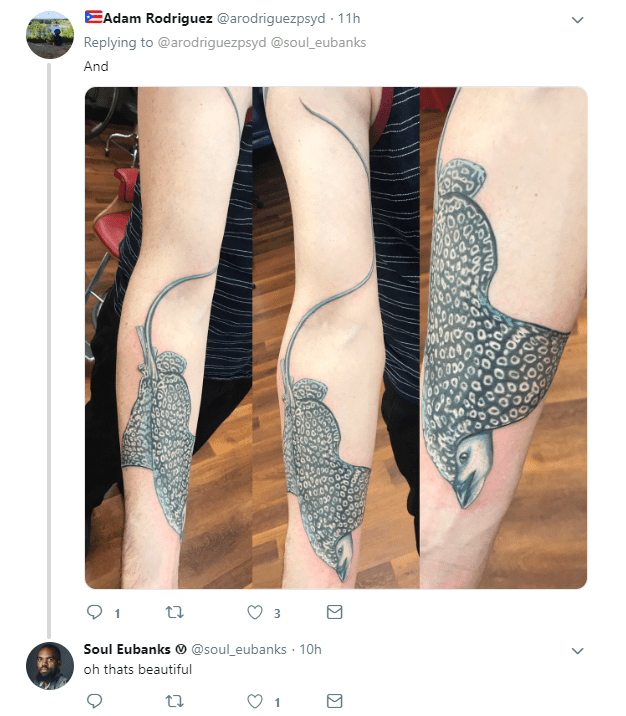 The collection began after @soul_eubanks posted on Twitter as he contemplated which vegan tattoo to get for himself, and asked followers for advice. Floods of ideas and inspiration immediately flooded in. 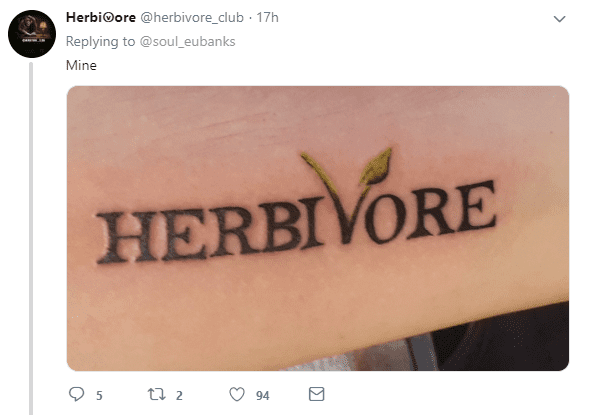 Vegan influencer @herbivore_club kicked things off with a tribute to a plant-based diet – and the activist’s Twitter handle. 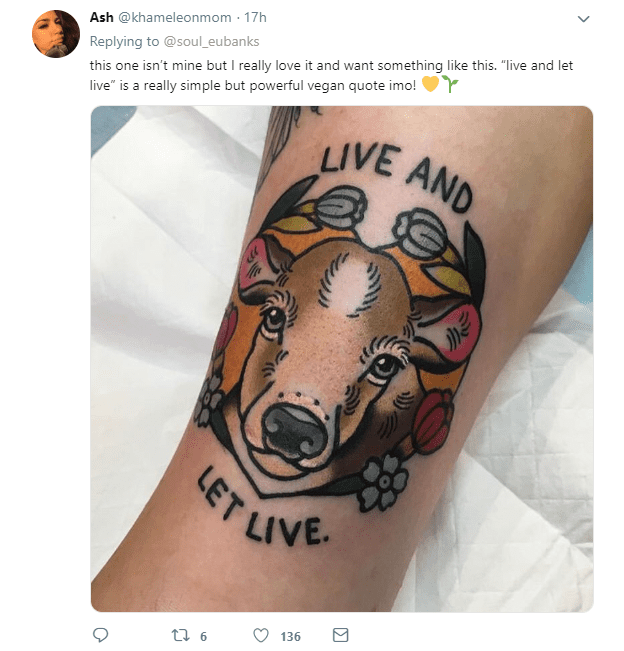 This stunning tribute to the beauty of cows was shared by vegan @khameleonmom. 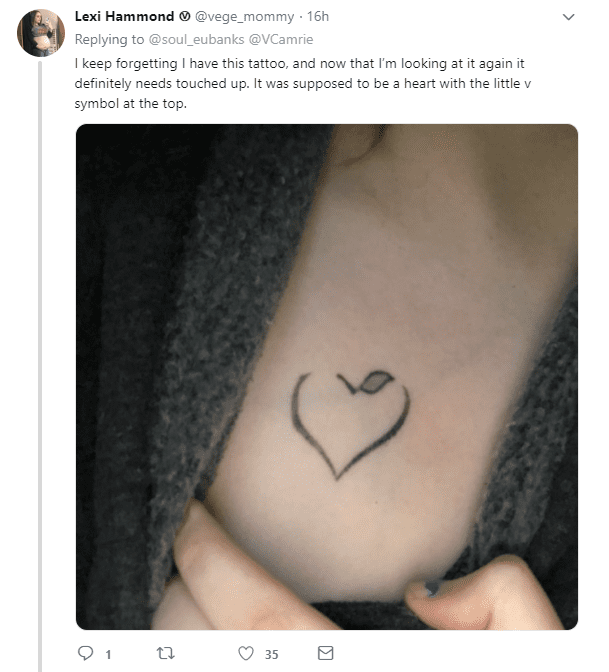 Next up was photographer @vege_mommy with a minimal sign for compassion. 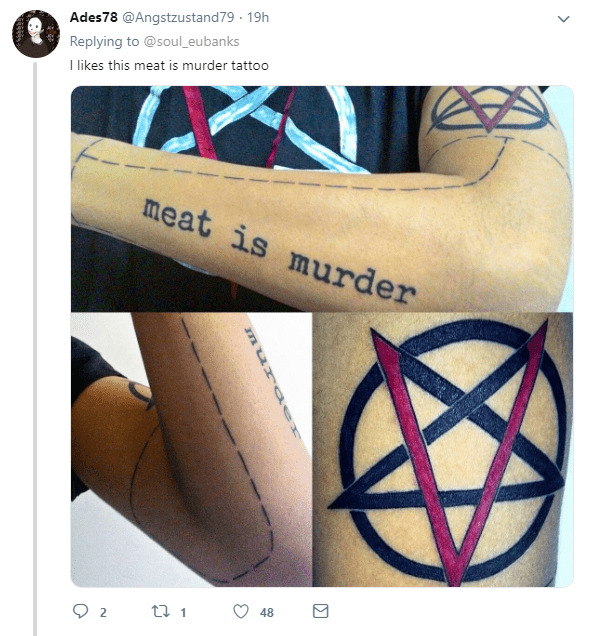 On the flip side, @Angstzustand79 went for a more intense look with the message: ‘meat is murder’. 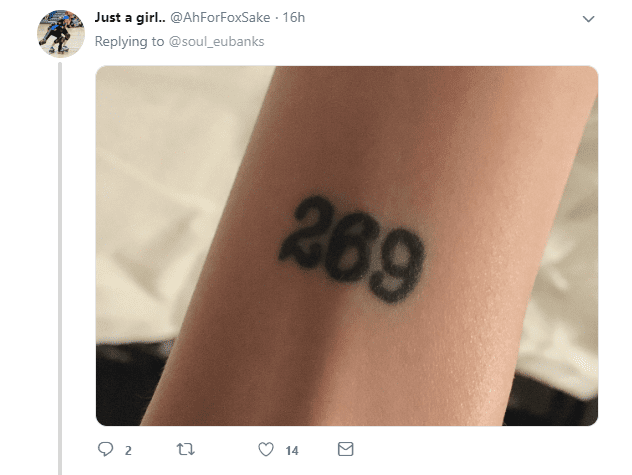 Animal rights activist @AhForFoxSake went for the minimalist ‘269’ – a reference to Calf 269 who was saved from slaughter and inspired the formation of an animal rights group. 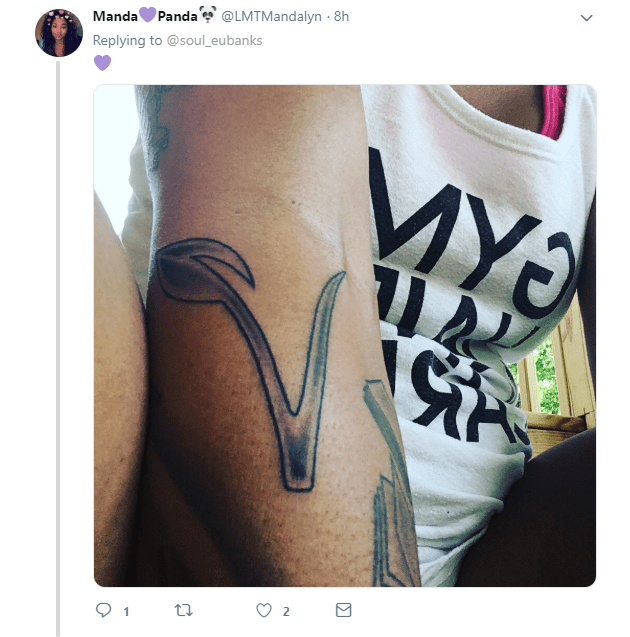 Many vegans including @LTMMandalyn used signature leaves to signify their allegiance to animals. 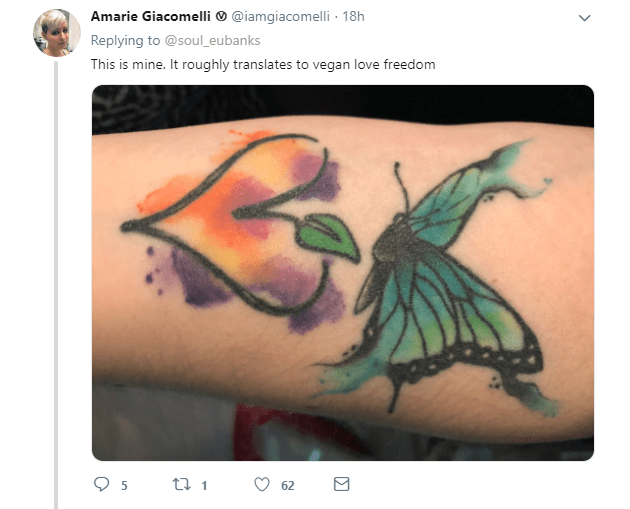 And @iamgiacomelli featured the trademark leaf in a tattoo which expresses vegan, love and freedom. 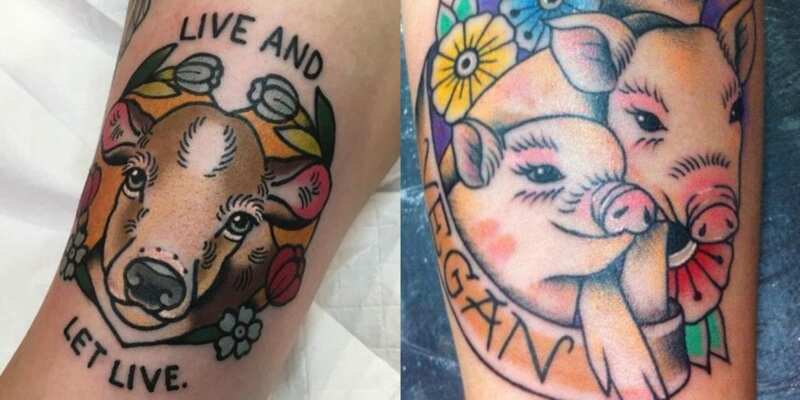 These tattoos from @arodriguezpsyd celebrate animals and use totally vegan ink, naturally. 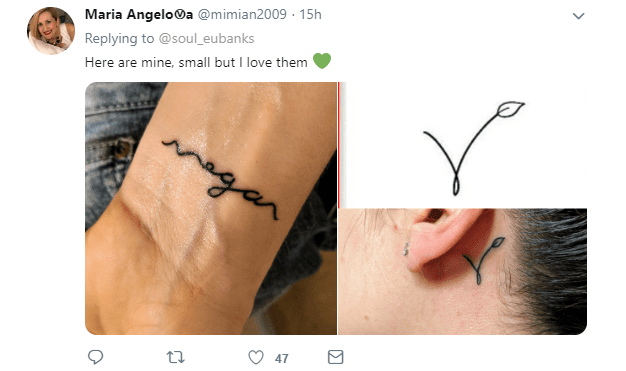 And bigger isn’t always better, as proven by these subtle tattoos from @mimian2009. 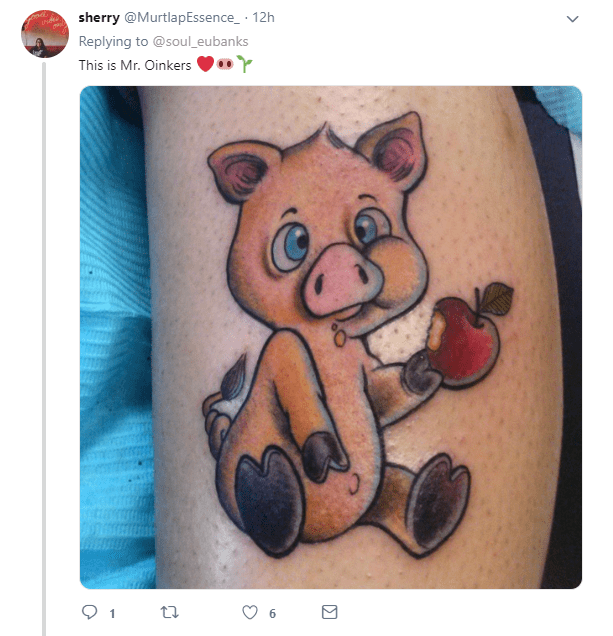 As inspiration for pig lover, @MurtlapEssence_ shared this masterpiece of ‘Mr. 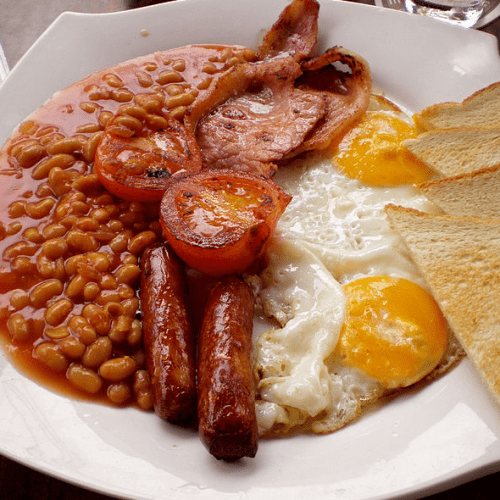 Oinkers’. 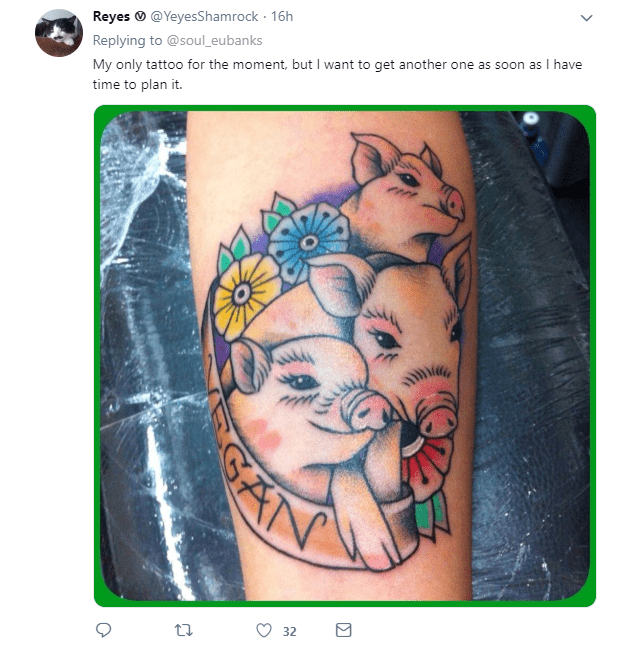 Another set of perfect piggies came in from @YeyesShamrock. 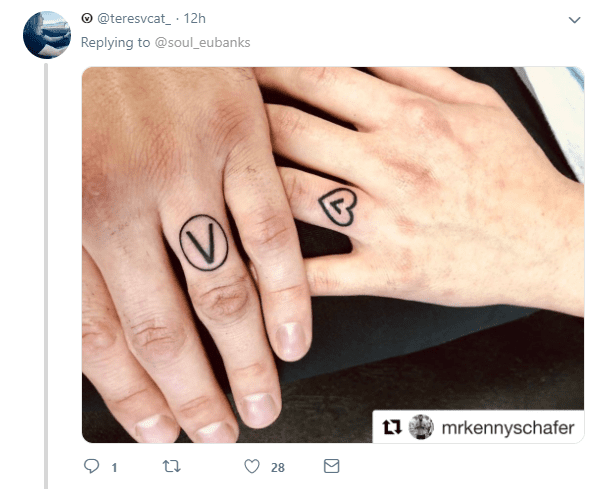 And vegan fitness fanatic @teresvcat_ gave inspiration for some more minimal vegan hand tattoos. 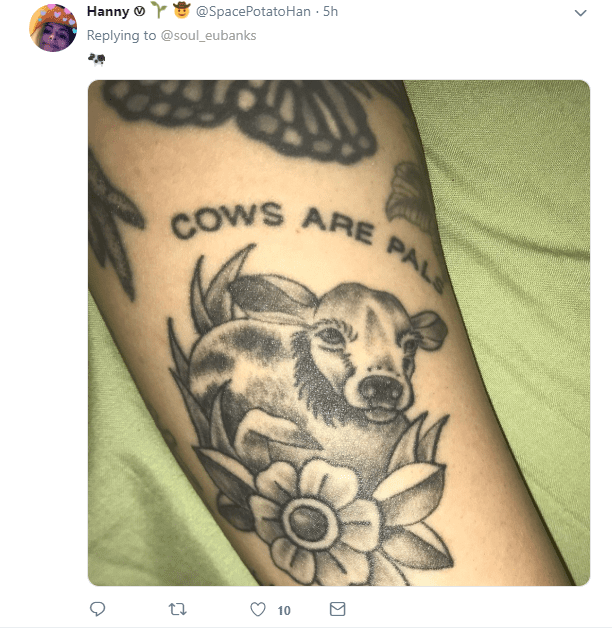 ‘Cow’s are pals was the message from @SpacePotatoHan. 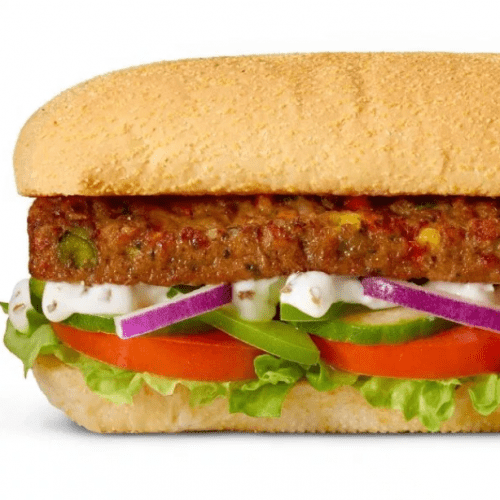 Vegan junk food lover @oatmilkdaddy shared this striking demand for animal liberation. 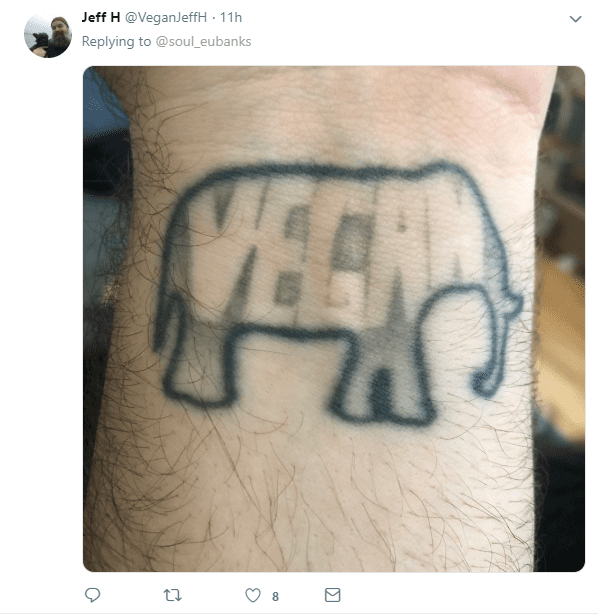 Reminding the world that veganism relates to all the world’s animals, @VeganJeffH shared this elephant tattoo. 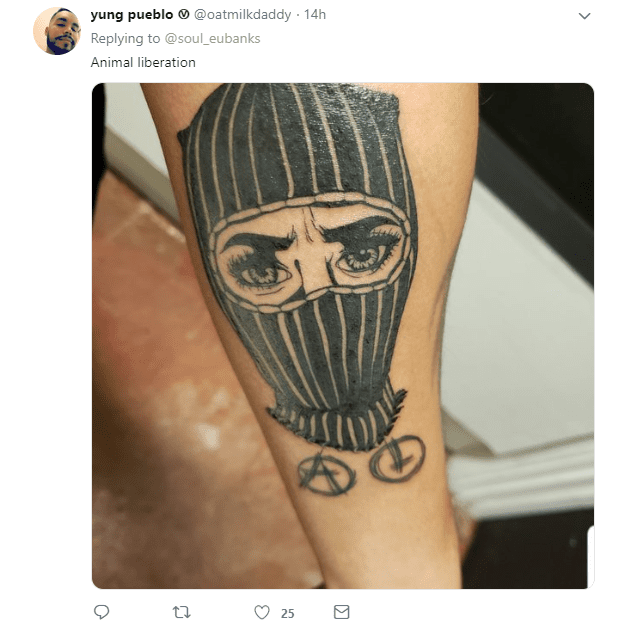 A reminder of the ongoing struggle for animals, @freaksnail1 reminded the world that activism will continue ‘until all animals are free’. 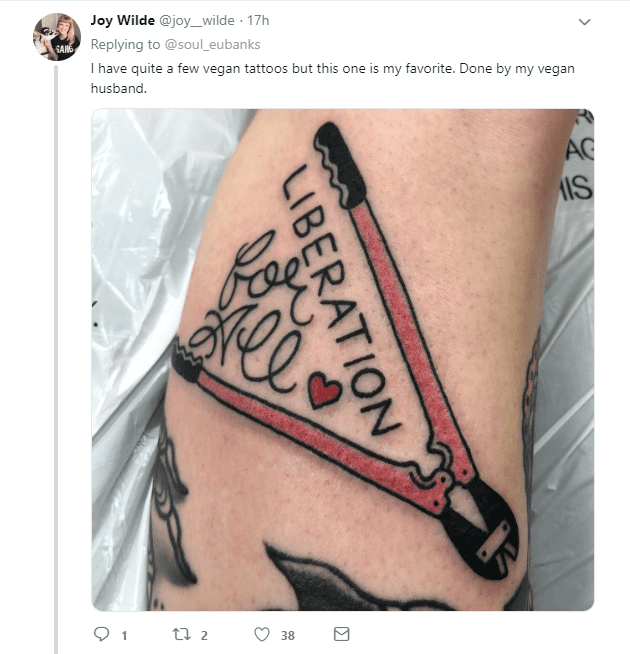 On a similar theme @joy__wilde gave inspiration for activism. 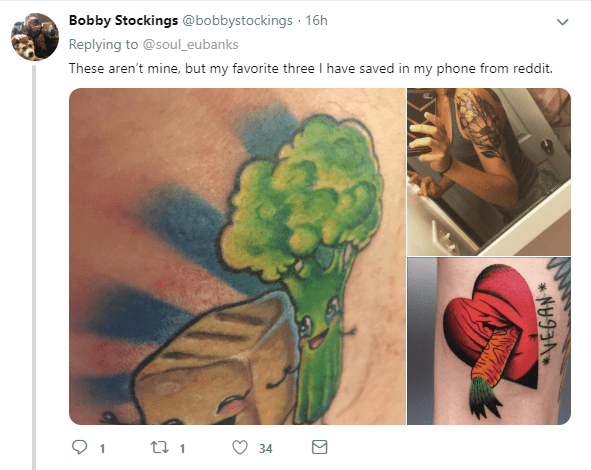 Some beautiful veggie inspiration was given by @bobbystockings. 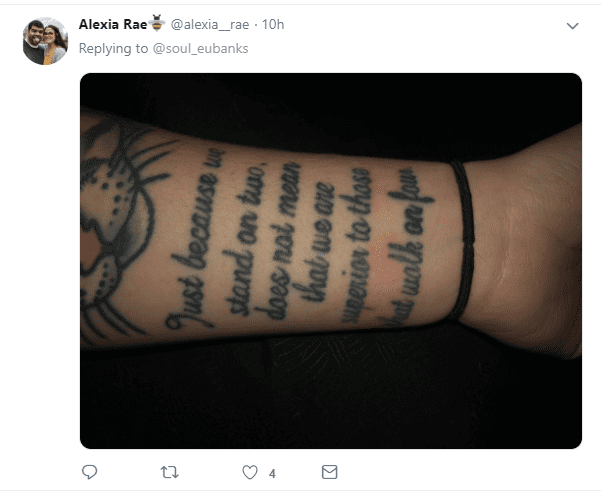 ‘Just because we walk on two does not mean we are superior to those who walk on four’ was the message from @alexia__rae. 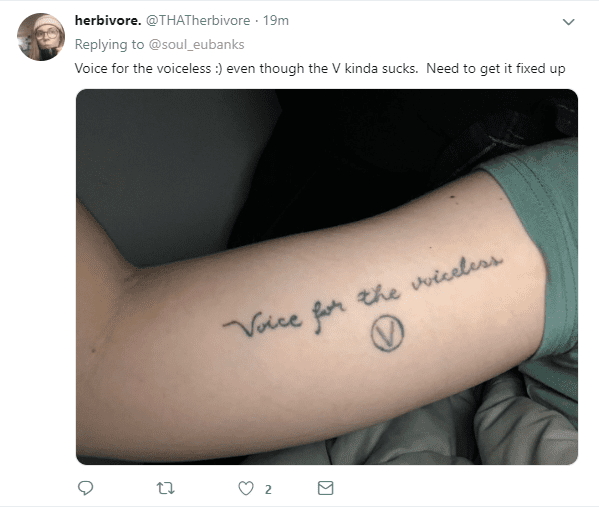 And @THATherbivore provides a ‘voice for the voiceless’. 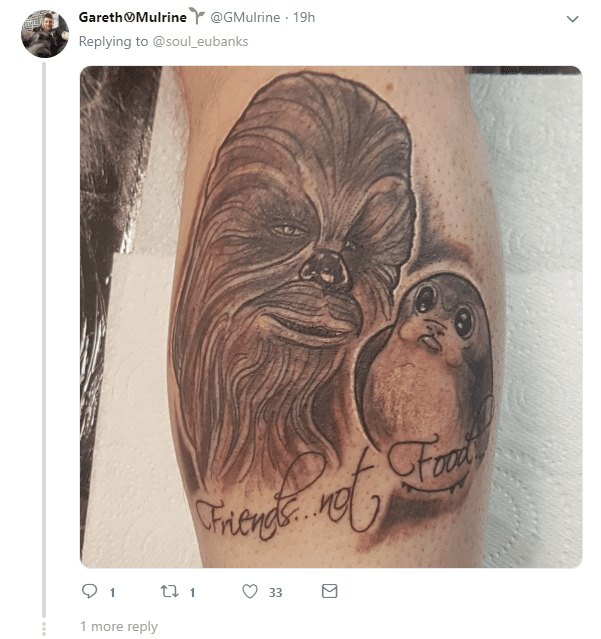 Star Wars lover @GMulrine went for this sci-fi vegan tattoo. 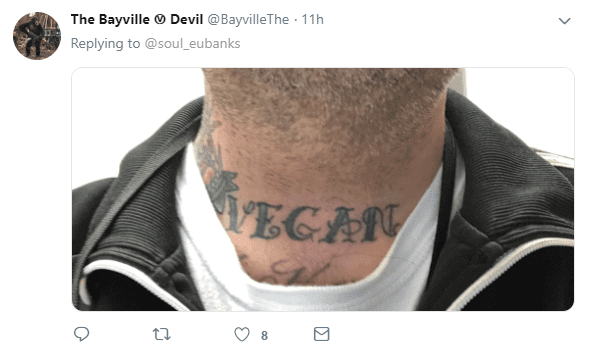 A vegan message peeps out from the collar of @BayvilleThe. 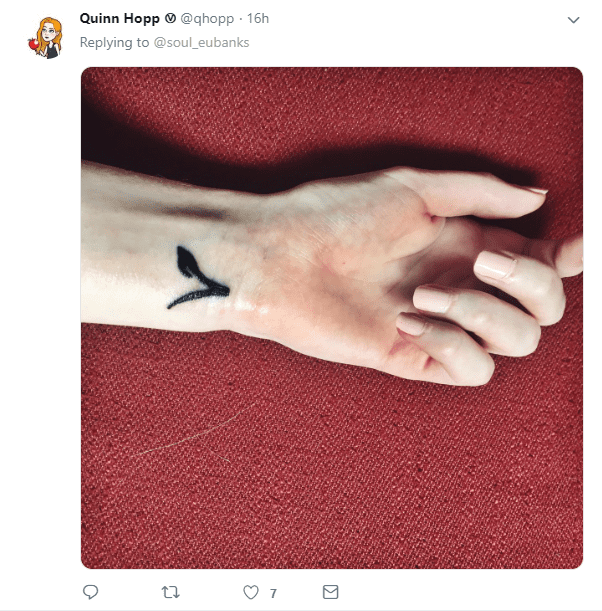 And @qhopp went for a small V to highlight their compassion for animals. 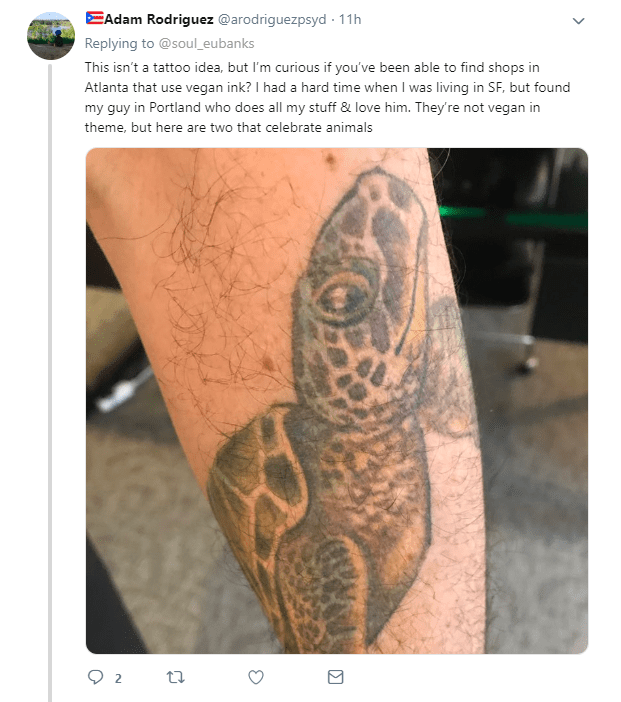 Do you have any vegan tattoos? Share you images in the comments section below!